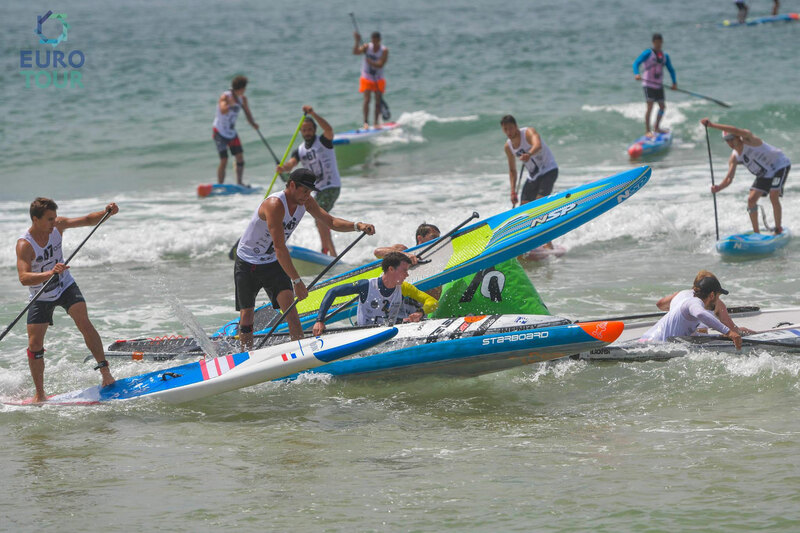 In brief: Connor Baxter has just won the Beach Race to make it a clean sweep of the weekend and claim the 2017 Hossegor Paddle Games overall title ahead of his key EuroTour rivals and fellow world-beaters Michael Booth and Titouan Puyo. In small, fun waves that were perfect for racing, Boothy was second just ahead of an impressive Trevor Tunnington, while Titou was right behind in fourth. Leo Nika was fifth ahead of Aussie Toby Cracknell. In the women’s, Frenchwoman Olivia Piana showed her true potential to take out the beach race ahead of yesterday’s winner Sonni Honscheid. But Olivia fell painfully short of the overall title, losing to Sonni by just 3 seconds on the tie-breaker time countback. Full results below the pics (more photos on the EuroTour Facebook page). Footnote: A lot of peopled have been asking “Where was today’s live stream? !” Well, after the fun and festivities of the boat ride on Saturday, SUP Racer unfortunately spent most of Sunday in bed (it’s a minor miracle we could even do Saturday’s live stream). That’s what you get for overdosing on foie gras and rillettes at the Friday night race briefing (never again…). Bu we’ll be back on board for next weekend’s big showdown in Thonon (the main event is at 12:30pm French time on Saturday). After Thonon, we’ll also be live streaming the following three events on the Tour: Bilbao, San Sebastian and Narbonne. Stay tuned, it’s going to be a long, hot summer of racing! 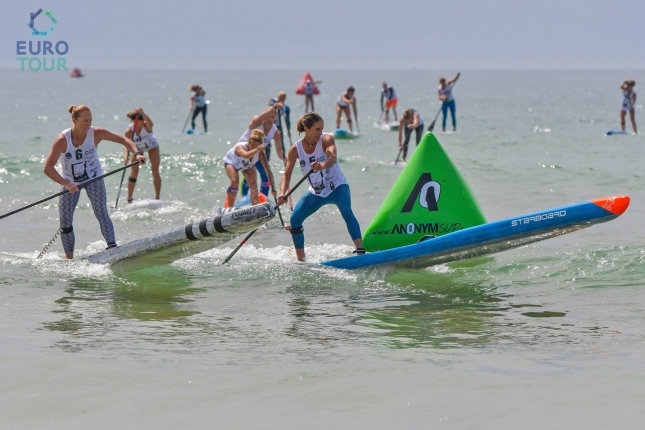 Déjà vu in week 4 of The Euro Tour, with the German powerhouse Sonni Hönscheid charging to victory on day 1 of the Hossegor Paddle Games ahead of her impressive Starboard team mate Olivia Piana and the fast-finishing duo of Candice Appleby and Amandine Chazot (⬅️ the new dark horse of Europe?). Just a little further back it was Seychelle Hattingh reeling in and overtaking the highly under-rated Susak Molinero in a tight battle for 6th. In the men’s, Connor Baxter out-sprinted Titouan Puyo in an intense battle right to the line, which took place after more than 10km of hot and very humid paddling that resembled a mini Carolina Cup in terms of both conditions and the incredible depth of talent on the start line (~45% on the Race Index). Michael Booth was right behind in 3rd followed closely by the determined duo of Bruno Hasulyo and Trevor Tunnington (who worked hard and closed the gap on the lead trio in the final 2kms). 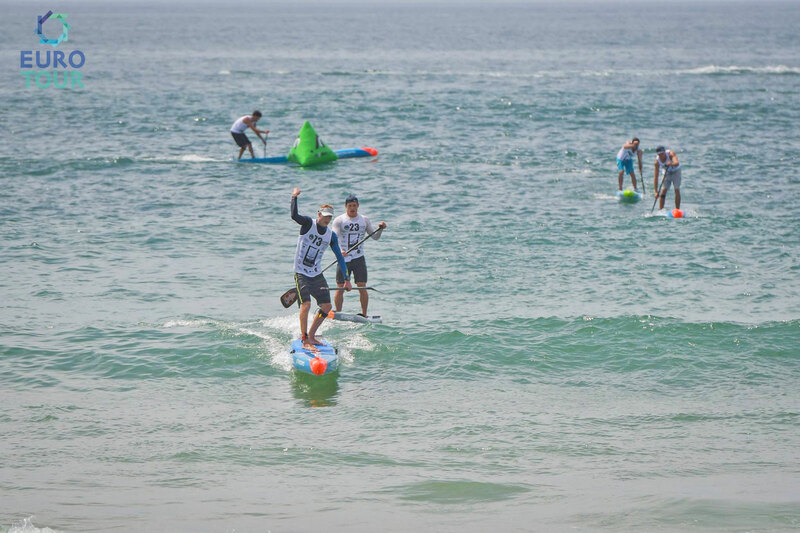 Infinity Speed Freaks Giorgio Gomez (6th) and Slater Trout (7th) are also looking fit and firing as we head back into the iconic waves of Hossegor for tomorrow’s decider: The Beach Race. 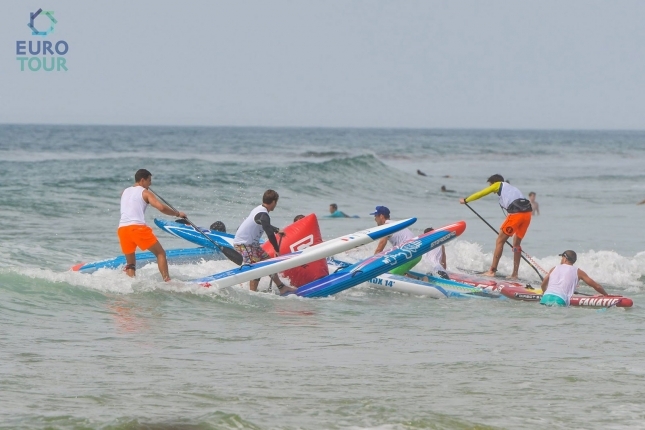 Merci beaucoup to the Hossegor Surf Club for not only hosting this event but getting us up close to the action despite some very tricky maritime navigation conditions! …and finally a huge thank you to camera wizard Georgia Schofield from Starboard Stand Up Paddle Surfing for always getting the shots! Déjà vu in week 4 of the @eurotoursup, with the German powerhouse @sonnihoenscheid charging to victory on day 1 of the Hossegor Paddle Games ahead of her impressive @starboardsup team mate @oliviapiana and the fast-finishing duo of @applesteeze and @amandine_chazot (⬅️ the new dark horse of Europe?). Just a little further back it was @seychellesup reeling in and overtaking the highly under-rated @susakk in a tight battle for 6th. In the men's, @conbax out-sprinted @titouanpuyo to the line after just over 10km of hot and humid paddling that resembled a mini Carolina Cup in terms of both conditions and the incredible depth of talent on the start line. 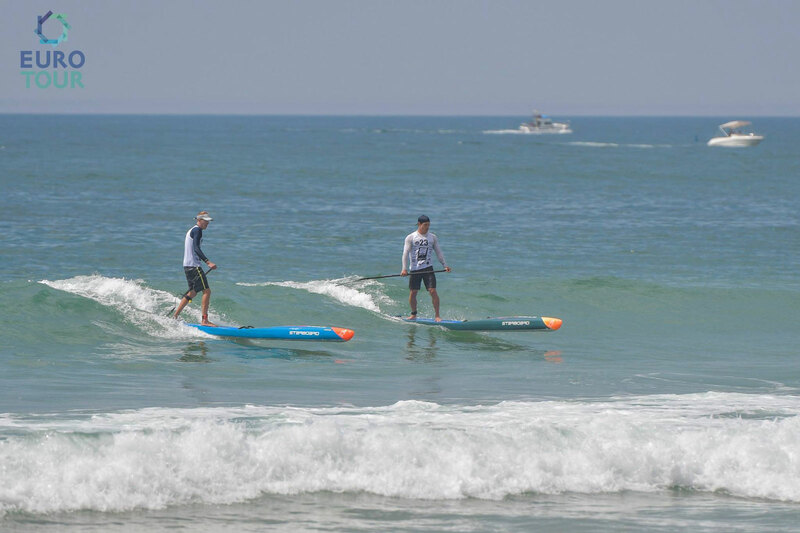 @_michaelbooth was right behind in 3rd followed closely by the determined duo of @brunohasulyo and @trev_sup (who worked hard and closed the gap on the lead trio in the final 2kms). Infinity Speed Freaks @giorgiogomez (6th) and @slatertrout (7th) are also looking fit and firing as we head back into the iconic waves of Hossegor for tomorrow's decider: The Beach Race. 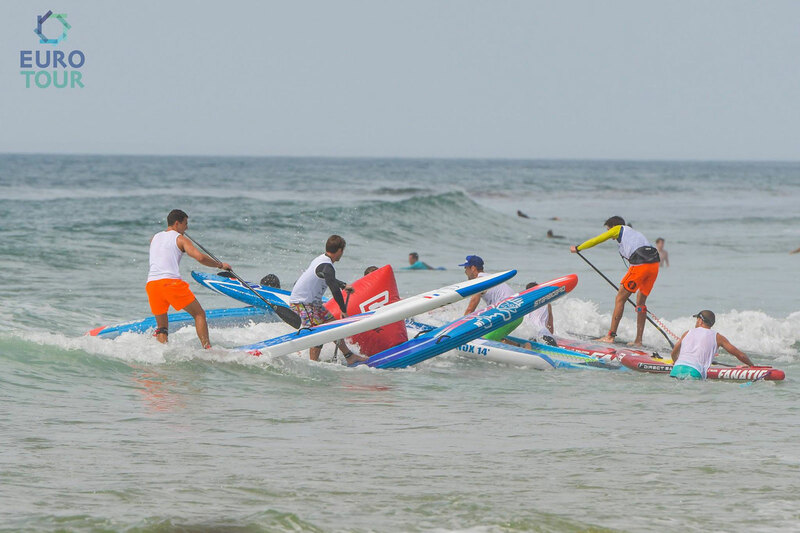 Merci beaucoup to the @hossegor_surf_club for not only hosting this event but getting us up close to the action despite some very tricky maritime navigation conditions! 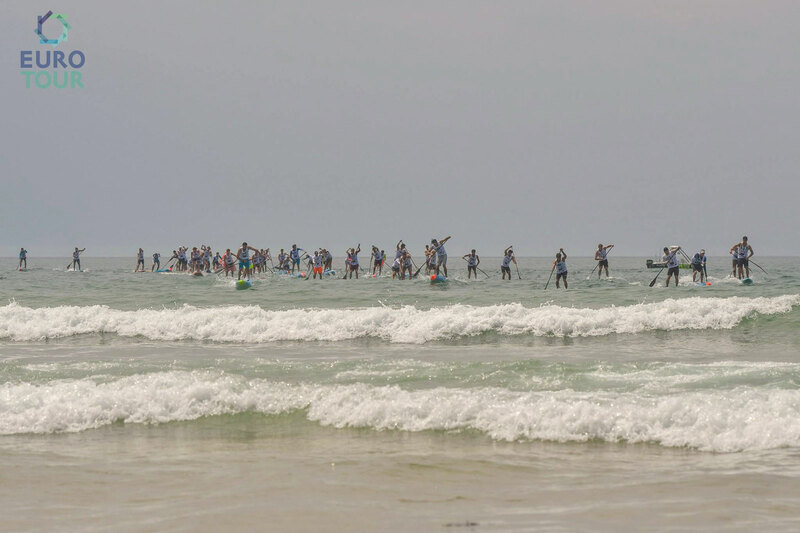 Oh and it looks like we might have a nice little swell for tomorrow's​ race, so tune in from 10am Sunday French time to watch the Facebook live stream with @totalsup 🇫🇷🌊☀️ …and finally a huge thank you to @georgiasphoto from Starboard for always getting the shot!